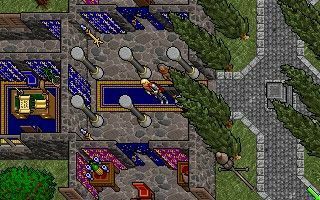 Ultima VII: The Black Gate is a role-playing game and seventh in the line of Ultima games designed by Richard Garriott, it was developed and published by Origin systems, and released for DOS in 1992. 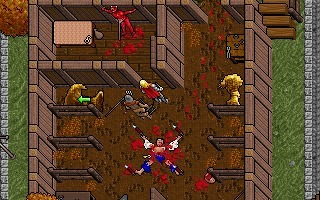 This game was a turning point for the series as it introduced many new gameplay conventions. 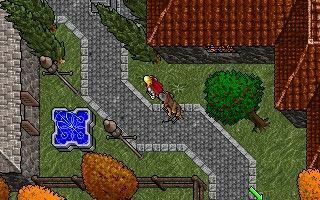 Aside from general improvements to the graphics, this installment departed from the use of tile and grid-based movement. It also switched from being mostly keyboard controlled, to mouse oriented controls with optional keyboard hotkey usage. 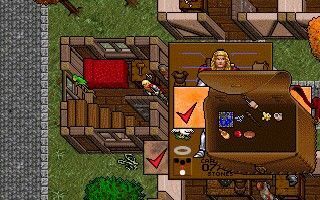 Using the mouse, players can move items by dragging and dropping them rather than using the ‘move’ command. 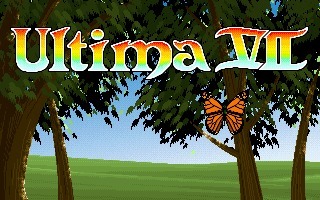 Ultima VII also introduced real-time gameplay that will pause only when certain menus are open, like your inventory. 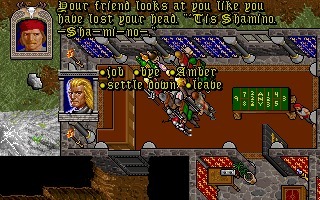 This is also the case during combat and your party members are largely AI controlled with behaviors that you set them to. 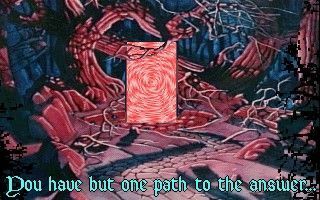 As in the previous games you step into the shoes of the Avatar. This time around he is investigating bizarre murders that have taken place and the new religious movement that is spreading. 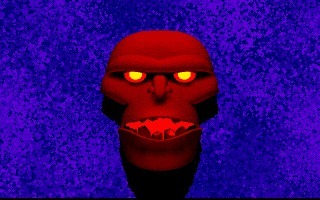 This eventually leads to the discovery of a much more sinister plot that he must unravel before it’s too late. 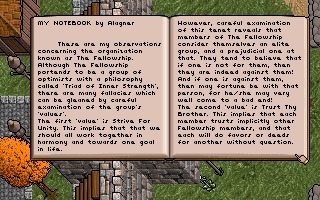 Players can explore and interact with a large world and talk to people with more dialogue options than previous entries. 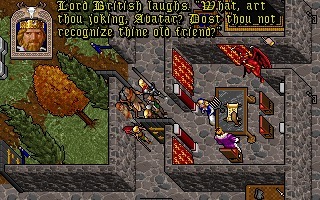 Ultima VII is widely heralded as one of the best RPGs to ever be released. 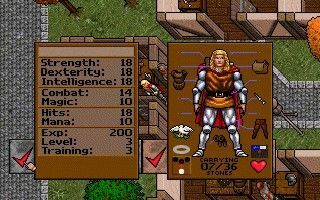 Incredibly successful and award winning, no RPG fan should pass this one up.